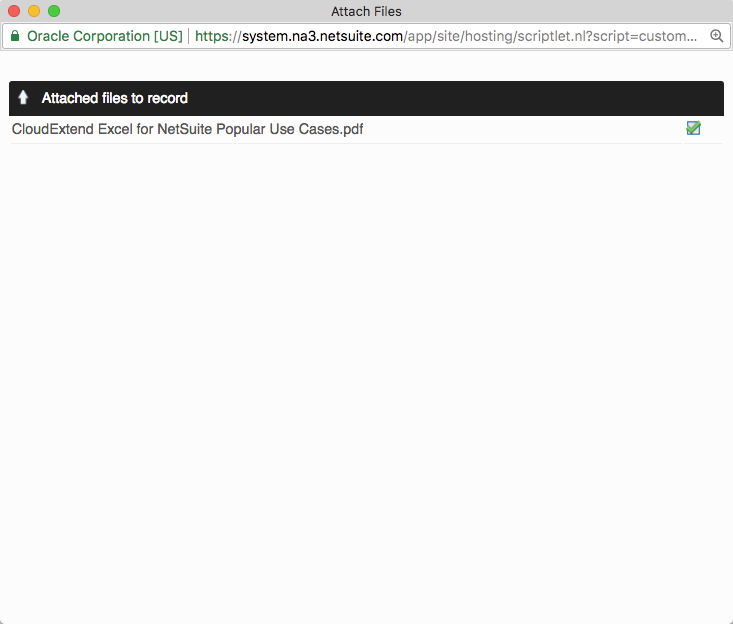 How to attach a file or a folder to NetSuite records via CloudExtend Google Drive. 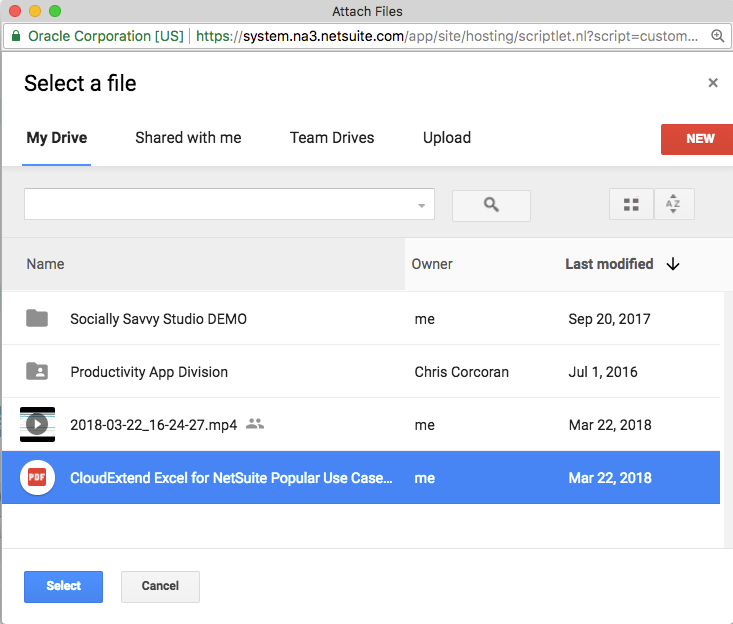 With CloudExtend Google Drive you can attach files and/or folders to NetSuite records without consuming any NetSuite storage space. Whenever you add a folder to a NetSuite record(s), anytime that someone adds files or folders to the record in Google Drive, they will also automatically be attached to the folder of the record(s) it is attached to in NetSuite. As long as you have your folders attached to the proper records, you can manage everything through Google Drive. Step 1: Navigate to the record in NetSuite that you want to attach a file or folder to. Click on the Google Drive tab and then attach files/folders. Step 2: Select the files or folders you want to attach to the record and hit Select. Step 3: Once uploaded you will receive a message saying it has been attached. Go to the record and hit refresh and it will be there.